Tim Booth’s Toronto Art Orchestra, Canada’s 18-piece jazz orchestra, will take the stage at Hugh’s Room Wed. April 24th. The extraordinary ensemble will present the works of two equally extraordinary sparks in the scene: Maria Schneider and Bob Brookmeyer, among two of the greatest jazz orchestra composers of all time. 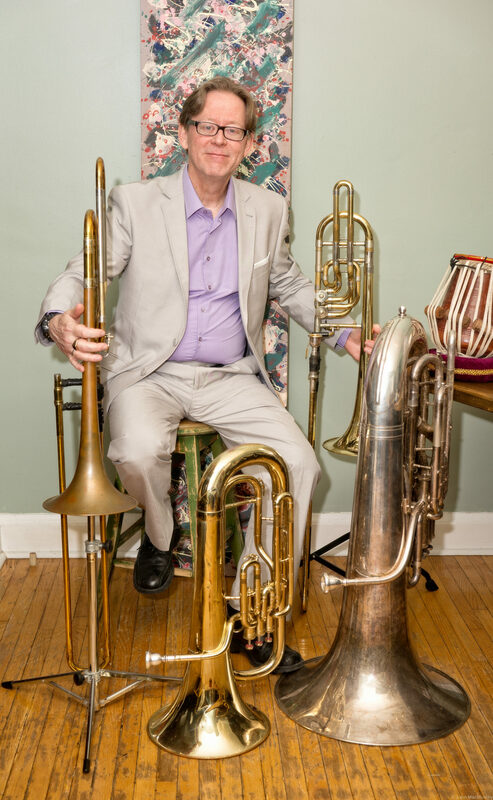 Led by bass trombonist Timothy Booth, the all-star event is teeming with first-call artists, including but not limited to Colleen Allen, Bruce Cassidy, Andrew McAnsh, John MacMurchy, Phil Gray, Steve Cole, Scott Marshall, and John McLeod, and featuring Toronto-area vocalists Jessica Lalonde and Tanya Wills. The endeavour will be among the first of its kind, inviting audiences to attend in person or watch online. The Toronto Art Orchestra concert will be featured by video-stream on JazzOvation.org (formerly TheJazzBox.ca), a growing multi-media content platform for Canadian jazz composers and performers. Originally founded in 2006, Toronto Art Orchestra explores fresh directions brought forth through imaginative arrangements of original compositions and their own unique perspective on some of the greatest jazz works of all time. Next Gig: Mozart Requiem March 31st 4:00 pm Our Lady of Sorrows Catholic Church with Toronto Sinfonietta. Passion and Resurrection concert with the Toronto Sinfonietta and the Novi Singers.